Expedited Passport Services - How to Expedite U.S. Passport? Expedited Passport – How to Expedite a U.S. Passport? An expedited passport can be a lifesaver if you are pressed for time and need to travel abroad. To avoid the need for expedited service, check the validity of your family’s passports regularly so that you’ll be ready if a last-minute trip is needed. However, in an emergency or last-minute scenario, you have several options for receiving a passport rapidly. It can be stressful when you find out you need an expedited passport, but you have options. Whether you suddenly realized that your passport was about to expire, or you had a death in the family or other tragedy and need a passport to travel quickly, a service that can expedite passport application and delivery for you can make all the difference. You can get an expedited passport in person or through the mail, and there are advantages and disadvantages to either option. You’ll have to show that you need a passport quickly, and it will take about three weeks to receive it. In extreme cases, it’s possible to get a passport even faster. A passport with expedited service may be requested in person or by mail. Anyone can obtain an expedited passport, as long they can show proof of the need for an emergency passport. 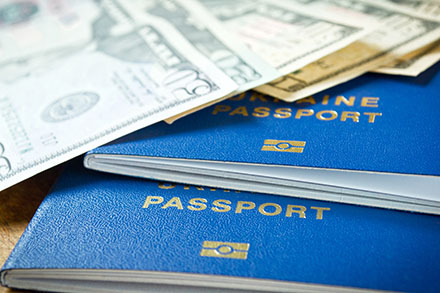 The cost for an expedited passport is an additional $60 plus delivery costs. You’ll receive your expedited passport in approximately three weeks; however, you can receive it sooner than this if an urgency of need can be clearly shown. An expedited first-time passport or replacement of a lost/stolen passport is best acquired using an in-person facility. You’ll receive the fastest service at a designated U.S. Department of State Passport Agency, and there are 28 around the U.S. Locate the authorized acceptance facility nearest you and find out the payments types accepted and total cost. An appointment will be required at U.S. Department of State Passport Agencies, and you’ll likely be required to show proof of travel within the next two weeks. 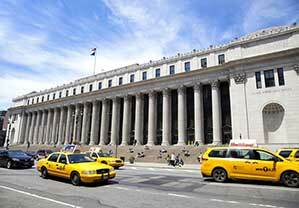 One common method of getting an expedited passport is through the post office. However, many post offices are not set up well for this type of service and finding one that will process things quickly and correctly can be a struggle. You are also somewhat limited by mailing the information because there are opportunities for your application to get lost, destroyed, or delayed in some way. If that happens, you may end up without the expedited passport you had hoped to receive, and that could stop you from taking an important trip or could even mean that you miss something as significant as a wedding or a funeral. A Regional Passport Agency is another way to get an expedited passport, but you need an appointment. Most of these agencies do not take walk-ins and depending on how busy they are you may not be able to get an appointment as quickly as you need to. Just like with the post office, that can mean losing a lot of time or mistakes being made, which can stop you from getting to your vacation or to an event that you do not want to miss out on. Whether the occasion is happy or sad, getting there and being part of important moment matters. You need to be sure you can get your expedited passport properly. A Private Passport Expediter – Using a Private Expediting Company to Expedite Your Passport? When you choose a private passport expediter, you receive benefits that you will not get with other options. Expedited passports are an extra $60 plus the cost of delivery, on top of the standard passport fee. Individual agencies may have their own charges over and above the actual passport fees, so making sure of how much you will be charged is important before you select an agency. Be sure to ask questions, including getting information about all of the fees and the deadline you need to have met. Not all companies may be able to meet your deadline for travel, and you need to know that before you use that agency. When looking for a private expediting company it is best to find out how much does the expediting service cost and how long would it take to expedite your passport. A secure package is very important for sending any documents that are expedited. These need to be protected from wear and tear, and from the elements. A Tyvek envelope or another secure type of packaging can work well for this. If you must send anything through the mail instead of handing it over in person, get a tracking number so you can see where the package is at all times. Also be sure to write “expedite” in block letters on the envelope, and don’t send any cash. You can use a money order or a personal check, made payable to the U.S. Department of State. Handling things in person is better, but sometimes mailing is necessary. Making sure it’s done correctly can make all the difference when it comes to getting your expedited passport on time. A number of private companies also provide expediting services as well as and rush delivery/courier services to meet your needs. Some of them operate within passport agencies and can submit an expedited passport application for you on your behalf. Make sure to verify that the expediter you choose can meet your deadline and that you are comfortable with what they will charge you. How Should I Send my Expedited Documents? Use a secure package such as a Tyvek envelope so the contents of the mailing are protected from wear and the elements while traveling through the postal or delivery system. Use a trackable delivery method when sending your passport application and personal documents. For mailed expedited renewals, submit Form DS-82 and write “EXPEDITE” clearly in block letters on the envelope. Never send cash; include payment in the form of personal check or money order payable to the United States Department of State.